The Type 912 and Type 912E both represent important chapters in Porsche’s history, and played notable roles in the company’s success, and decades after Porsche® constructed them, it is up to owners to assure that the 912 continues to enjoy its proper recognition in Porsche history. The simultaneous advent of the 912 Registry and the World Wide Web is more than a coincidence. Consider the circumstances for 912 owners circa 1997: Over 30 years had passed since the 912 was first introduced, and it had been over 20 years since Porsche completed the last 912E, and although Porsche had produced over 34,000 examples of the 912 and 912E combined, 912s were off the radar. As Porsche surpassed its 1,000,000th car, offering their fifth-generation 911 and the first-generation Boxster, references to 912s and 912Es in books about Porsche were brief, 912s were scarce at car club meetings and car shows, and most disconcerting many 912s were being parted out. Although millions of people accessed the Internet by 1997, search engines turned up very little information about 912s and there were no specific 912 club websites. 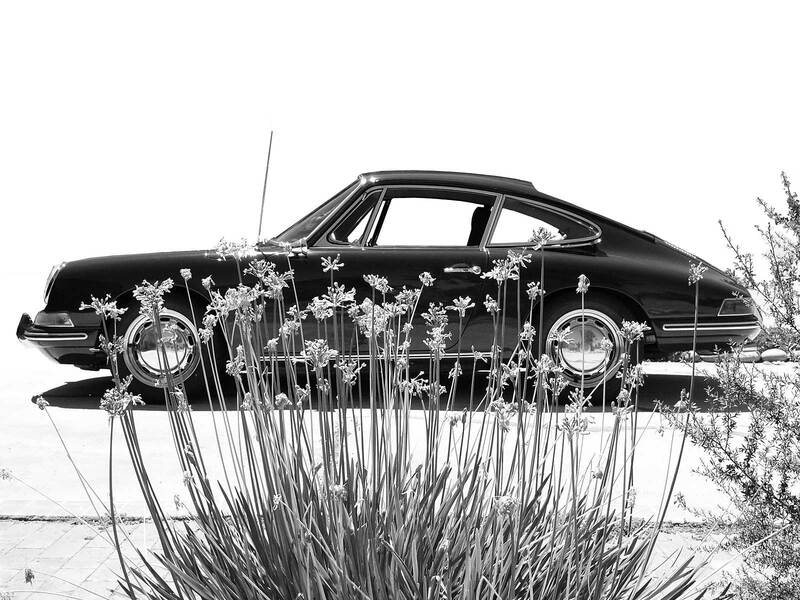 The first 912 Registry web site, and in turn the 912 Registry, was created by Rick Becker, a 912 enthusiast from Southern California who had an understanding of website design. Rick believed that only 912 owners themselves stood to spread appreciation for these special cars, and that communicating with each other was the key. Rick recognized how the same World Wide Web that lacked 912 information, also represented the most effective, flexible, and economical method to find owners. Rick patterned the 912 Registry after the 356 Registry, but added a mission statement: “Keeping 912 and 912E owners in contact worldwide.” On November 15, 1997, the first 912 Registry web site went live. At first, to promote the 912 Registry, Rick sent emails to anyone selling a 912 online, hoping they might change their mind and keep their car, or at least tell the new owner about the site. He would also reply to any 912 question he could find on the general interest Porsche boards, he added the Registry link to search engines and he printed business cards with website information to place under 912 windshield wipers of any 912s he would encounter. As awareness of the 912 Registry began to spread, Phil Van Buskirk, a 912 race car owner himself, published in PML Magazine an article describing the Registry in the May 1998 issue, and in 1999 both Porsche List (now Rennlist) and Pelican Parts added 912 tech board sections to their forums. Soon owners began asking if they could buy 912 Registry badges and shirts, and so Rick's wife, Cindy, procured these items with the original Registry logo. Concurrently, a number of 912 owners were taking action through their own initiative. By the year 2000, Dave Hillman, a 912 enthusiast from the Bay Area, created 912bbs.org, the original 912 online forum. Jones Low, another 912 enthusiast from Southern California, encouraged regular 912 gatherings, the first of which took place on 9/1/2001. Similarly, other 912 owners started the Bay 912 and Lone Star 912 regional groups, with monthly and special events. Soon 912 owners were converging at events such as the Monterey Historics and the Dunkel Brothers Annual Open House. In 2002, Duane Spencer, a well known Porsche mechanic, published the first edition of “The Complete Porsche 912 Guide”. In the Spring of 2002 Jeff Trask of Southern California, and Craig Norton of Northern California organized the first West Coast 912 Rendezvous, an event that has taken place annually every year since. During this meet event several owners discussed turning the 912 Registry into an incorporated club that could offer additional benefits to 912 enthusiasts. Top priorities included a newsletter / magazine and grille badge. Jeff Whitney, a 912 owner and graphic designer, soon became the first Editor of the new 912 Registry Magazine, and he created the 912 Registry grille badge, which many consider one of the finest car club badges in existence. At the September 2002 Ventura German AutoFest, 912 owners met with organizers of other Porsche clubs to learn from their experiences, and also selected a panel of 912 owners with varying experiences and backgrounds to consider board membership. In November of 2002, the initial panel of volunteer board members met at Jeff Trask’s home to iron out by-laws and practical details, and then it was Jeff Trask did the lion’s share of the groundwork necessary so that our non-profit organization could be formed. By February 2003, incorporation papers had been filed, and seed funding and online Membership payment provisions were in place, and at that time we announced the opportunity to become a Charter 912 Registry Member. Over 200 joined within the first month! By the end of 2003, the Porsche world recognized that 912s were a force to be reckoned with, when Bud O’Lea’s car, which had recently been restored by John Benton of Benton Performance, won Best of Show at the Ventura German Autofest, and as racer John Thornton campaigned his Emory-Motorsports prepared “902” that was later featured in Excellence Magazine and Rennsport Reunion IV. At those first 912 Registry gatherings, the cars that would arrive were certainly well-loved, but most of them also looked like it as well. At the time, the reality was that it still cost much more to restore a 912 than the car would be worth restored, and so most cars were enjoyed in their various states of preservation. Today, the majority of 912s that show up at events tend to look about as they did the day they left the factory. As the 912 Registry has help to increase appreciation for 912s, 912s in turn have begun to appreciate. In the early 1970s, as 912s began to find their way onto the secondary market, they came to be viewed as underpowered “imposter” 911s, a mantle they would wear well into the late 1990s; now 912s are considered full-fledged classic Porsches, and are held accountable only to the standards of their age. This transition was brought about almost solely by 912 enthusiasts, and it was the 912 Registry who helped bring these enthusiasts together, our mission which continues to this day. Dave Hillman was among the first to recognize the importance of preserving 912s for future generations, and to confront challenges of doing so. The 912 BBS forum site he created remains at the heart of the 912 community. Tragically, Dave passed away in a motorcycle accident in 2007. As a lasting tribute to Dave’s generous and gentle spirit, the 912 Registry created the Dave Hillman Award, which is given to those volunteers who contribute the most to forwarding the club and aiding its operations.